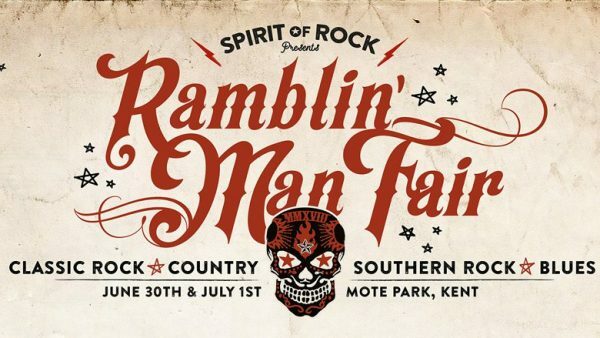 Ramblin’ Man Fair is the must see event for discerning festival goers. 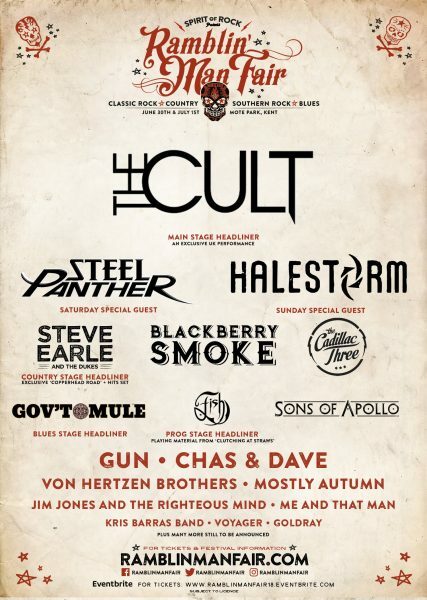 With headliners The Cult, Halestorm, Blackberry Smoke, Steel Panther amongst others already being announced across the weekend. Festival organisers announced today the next band for the event in 2018 as The Cadillac Three (Main Stage). The Cadillac Three (Main Stage) – an American rock trio have, since their self titled debut in 2012, through to second album “Bury My Boots” in 2016 and latest album “Legacy”, released in late 2017, the band have seen critical acclaim mixed with a growing fanbase. One of the finest exponents of country rock in the scene today, The Cadillac Three are a wonderful addition to the Ramblin’ Man Fair 2018 lineup. A quality musical line up with a number of UK exclusive performances. The event is a unique experience fast becoming a staple of the UK festival calendar. The festival will take place in Mote Park in Maidstone, Kent. The festival site is also perfect for European festival goers with easy links to the London airports, Eurostar and Channel Ferries to and from mainland Europe.